The Biopharmaceutics Classification System (BCS) can be used to categorize APIs according to their dose, solubility, and permeability. Those APIs amenable to simple tableting or powder in a capsule are likely to fall into Class I: molecules that are both soluble at their administered dose and permeable, whereas those that are neither soluble at a given dose nor permeable fall into Class IV. A large number of modern drugs – including most tyrosine kinase inhibitors – fall into Class II, having low solubility at the given dose but high permeability. Drugs that have poor permeability properties but readily dissolve represent BCS Class III compounds. While this system represents a good way of identifying those compounds that may be good candidates for biowaivers based on in vitro dissolution data and serves as an aid for regulators in this regard, the system is not particularly useful for formulators and determination of suitable formulation approaches based on the properties of the compound. Specifically, it does not give sufficient insight into the solubility behavior of molecules in BCS Class II, where so many problematic compounds lie. Yet about two-thirds of compounds in the current development pipeline fall into Class II, with the likelihood of poor bioavailability, variable pharmacokinetics, and the distinct possibility of significant food effects. This not only puts patients at additional risk of developing toxicity-related side-effects, but leads to complicated dosing regimens and patient compliance issues. As a result, a Developability Classification System (DCS) has been created.2 This splits BCS Class II into two subclassifications, providing an additional level of insight into a molecule’s solubility properties. The aim of the DCS is to direct thinking toward the right formulation strategy more quickly by facilitating the selection of technology in a rational way. DCS Class IIa represents those drugs where absorption is limited by the dissolution rate, while for those in Class IIb, the absorption is limited by the drug’s intrinsic solubility. The DCS incorporates the concept of a solubility-limited absorbable dose, or SLAD, which represents the dose above which absorption of a compound is limited by its solubility. Above the SLAD, simply reducing the particle size to speed up dissolution is unlikely to be successful in improving the compound’s exposure. Particle size reduction, solid amorphous dispersions, and lipid-based formulations represent approaches to address the problems posed by Class II compounds, depending on whether the compounds are dissolution-rate limited or solubility limited.3 Particle size is commonly reduced using milling, micronization, or comicronization techniques, and can be appropriate for Class IIa, where dissolution rate is at the root of the problem. For Class IIb, where intrinsic solubility is the issue, successful strategies are likely to involve presenting the drug to the gastrointestinal system in a form in which it has already been solubilized. A solid dispersion technique such as hot melt extrusion can achieve this, as can formulation in a lipid-based drug delivery system (LBDDS). A proper screening strategy is essential if the best formulation approach is to be selected at the outset. A number of in silico prediction tools are available that can steer the formulator toward one technology or another, but there remains no substitute for laboratory screening experiments. If these are carried out at an early stage, in a parallel fashion, rather than taking a “fit-for-purpose” approach when the project enters Phase II trials, the potential to accelerate development is significant. Efficacy and safety concerns can also be addressed at the outset. Lipid-based systems are a proven technology for enhancing bioavailability, and the mechanisms via which lipid formulations enhance bioavailability have been comprehensively studied.4,5 Difficult Class IIa and IIb compounds can often be formulated into effective oral dosage forms using lipid-filled soft capsules and are in widespread use being manufactured on a commercial scale for both medicines and consumer health products. Once it has been established that a lipid-based strategy is likely to be successful, the next step is to determine which excipients or combination of excipients are best suited for a robust lipid-based formulation containing the compound that will result in enhanced bioavailability based on in vitro data generated. 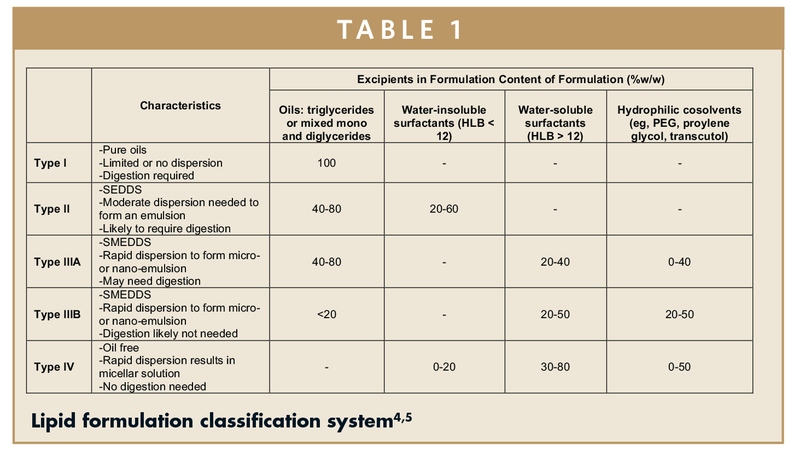 The lipid formulation classification system (LFCS) was proposed in 2006, initially classifying lipid-based formulations into four different categories (Type I – IIIB), with a fifth category (Type IV), being added a year later (Table 1).4,5 The formulations are assigned to a category based on the types and amounts of excipients, and predicted behavior (characteristics) in vivo. Type I lipid formulations are pure oils and require digestion whereas Type IV lipid formulation do not contain oils and rapidly disperse into micelles. It is possible for an expert in formulation to speed the path to market further by incorporating the principles of Quality by Design (QbD) at the preformulation stage, ensuring that the critical formulation and process parameters determined in laboratory studies are addressed adequately during product development. Examples of the parameters that might be included in the QbD process at the preformulation stage are: screening for solubility in excipients, biorelevant media, and lipid digestion products; excipient compatibility; API degradation; and the risk of precipitation upon dispersion and digestion. Soft capsules are the ideal platform for delivering lipid-based systems for a number of reasons. First, most lipid-based formulations are either liquids, or semi-solids that have low melting points and are not amenable to development as solid dose forms. Also, the shell, or gel mass, is compatible with a wide range of lipid excipients, regardless of whether they are very lipophilic, hydrophilic, or even amphiphilic. If formulated correctly, the shell has little effect on the lipid fill and its intended performance properties in vivo. The lack of headspace and hermetic seal provides protection against atmospheric oxygen that may lead to degradation of APIs sensitive to oxidation. Properly designed shells rupture rapidly and then dissolve quickly in the gastrointestinal fluid, releasing the API in the lipid fill formulation and ensuring it remains solubilized throughout. The vast experience gained over the years in the formulation of lipid-based systems and the selection of a suitable shell, or gel mass, has demonstrated the versatility of the technology to meet a range of target product profiles with multiple product attributes. For example, the immediate release of a lipid-based fill that is engineered to spontaneously disperse, forming a very fine, thermodynamically stable emulsion can potentially improve absorption and reduce patient variability. An ongoing Phase II trial indicates that it may also have potential for treatment in triple-negative breast cancer.11 According to the DCS, enzalutamide would be classified as a Class IIb compound, which means that its intrinsic solubility limits its absorption. There are many benefits in using LBDDSs when formulating poorly soluble and poorly permeable drugs, and soft capsules for their delivery. In addition to overcoming solubility and permeability issues, they are well understood, widely accepted by both patients and regulators, and have a long history of large-scale manufacture and commercial success. Formulation screening, development, scale-up, and commercial manufacture of LBDDSs are all activities where considerable expertise is required. If this experience is not available in-house, which often is the case, then choosing an outsourcing partner with experience and a proven track record is critical. As a general rule, selecting a partner that is able to carry out the whole spectrum of activities from formulation development through to commercial manufacture makes sense as this simplifies and speeds up product development cycle times by eliminating the need for work at multiple partners/sites and removing tech transfer steps required for ultimate commercialization of the product. The costs of drug development have escalated greatly in recent years. The latest, 2016, estimate of the total cost of getting a new molecular entity to market, from the Tufts Center for the Study of Drug Development is $2.6 billion.17 This reflects not only the growing demands of the regulators for ever more studies to prove safety, but also the increasing complexity of the product types being developed. Lack of drug solubility and permeability are two significant contributing factors to the return on investment from new drug launches reaching historical lows.18 However, today, it is possible to address compounds with difficult physicochemical properties and unfavorable absorption characteristics early on in the development process. By doing so during preclinical development, both costs and attrition rates can be reduced. 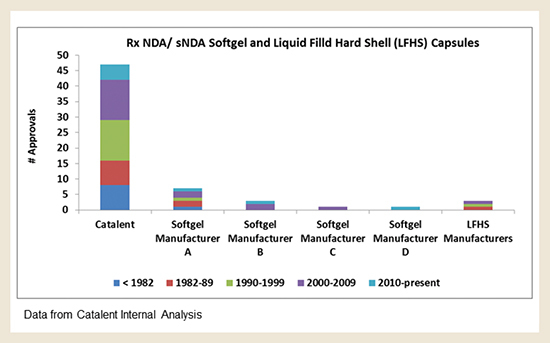 Lipid formulations have the longest commercial success track record among enabling technologies measured by the number of New Drug Applications (NDAs).3 There are numerous benefits for using LBDDSs for poorly soluble and poorly permeable drugs, and the use of soft capsules as a delivery platform for their successful commercialization. A high-quality, reputable industry partner is desirable for the successful, efficient development, scale-up, and commercial manufacturing of soft capsules. It is particularly important to choose a partner that has the experience and knowledge to help design an optimal lipid formulation based on the specific physicochemical properties of the API during the preclinical stages. Additionally, it is advantageous to use the same partner that does the development for scale-up and commercial manufacturing because the process is considerably simplified when all activities needed for a successful product are performed within the same partner entity or network. Only a handful of contract development and manufacturing organizations are capable of taking a new compound from preclinical development through commercial-scale cGMP manufacturing. As of this time, only five soft capsule manufacturers have successfully navigated the approval of soft capsule NDAs or supplemental NDAs (sNDA). Of the five, only three manufacturers have successfully submitted and received approval of soft capsule NDAs. The table below illustrates the number of supported NDAs and sNDAs by company. 1. Kang SP, Ratain MJ. Inconsistent labeling of food effect for oral agents across therapeutic area: differences between oncology and non-oncology products. 2. Butler JM, Dressman JB. The developability classification system: application of biopharmaceutics concepts to formulation development. J Pharm Sci 2010;99:4940-4954. 3. Crew, M. (2014, March 5). Bioavailability enhancement- analysis of the historical use of solubilization technologies. Retrieved April 29, 2016, from http://drug-dev.com/Main/Back-Issues/BIOAVAILABILITYENHANCEMENT-Analysis-of-the-Histor-657.aspx. 4. Pouton CW. Formulation of poorly water-soluble drugs for oral administration: Physicochemical and physiological issues and the lipid formulation classification system. Eur J Pharm Sci. 2006;29:278-287. 5. Porter CJH, Trevaskis NL, Charman WN. Lipids and lipid-based formulations: optimizing the oral delivery of lipophilic drugs. Nat Rev Drug Discov. 2007;6:231-248. 6. Bishop CW, Tabash SP, Agudoawu SA, White JA, Crawford KH, Messner EJ, Petkovich PM, inventors; Opko IP Holdings II, assignee. Methods for controlled release oral dosage of a vitamin D compound. United States Patent No. 8,778, 373. 2014 Jul 15. 7. Pissinati R, Oliveira WP. Enteric coating of soft gelatin capsules by spouted bed: effect of operating conditions on coating efficiency and on product quality. Eur J Pharm Biopharm. 2003;55:313-321. 8. Cerea M, Foppoli A, Maroni A, et al. Dry coating of soft gelatin capsules with HPMCAS. Drug Dev Ind Pharm. 2008;34:1196-1200. 9. Abd El-Sattar Fahym S, Christensen JM, Ayres JW. Development of novel spray coated soft elastic gelatin capsule sustained release formulations of nifedipine. Drug Dev Ind Pharm. 2009;39:1009-1021. 10. Scher HI, Beer TM, Higano CS et al. Antitumor activity of MDV3100 in a phase I/II study of castration-resistant prostate cancer (CRPC). J Clin Oncol 2009;27(15s): abstr5011. breast cancer (TNBC). Cancer Research 2015;75(9, Suppl. ): Abst. P5-19-09. 12. Xtandi® Clinical Pharmacology and Biopharmaceutics Review(s). Retrieved from: http://www.accessdata.fda.gov/drugsatfda_docs/nda/2012/203415Orig1s000ClinPharmR.pdf. 14. Xtandi® [package insert]. Northbrook, IL: AStellas Pharma US, Inc; 2015. 15. Gibbons JA, Ouatas T, Krauwinkel W, et al. Clinical pharmacokinetic studies of enzalutamide. Clin Pharmacokinet. 2015;54:1043-1055. 16. Stuyckens K, Saad F, Xu XS, et al. Population pharmacokinetic analysis of abiraterone in chemotherapynaïve and docetaxel-treated patients with metastatic castration-resistant prostate cancer. Clin Pharmacokinet. 2014;53:1149-1160. 17. DiMasi JA, Grabowski HG, Hansen RA. Innovation in the pharmaceutical industry: new estimates of R&D costs. Journal of Health Economics 2016;47:20-33. 18. Smietana K, Ekstrom L, Jeffery B, Moller M. Improving R&D productivity. Nature Reviews Drug Discovery. 2015;14:455-456. Dr. Ronak Savla is a Scientific Affairs Manager with Catalent Pharma Solutions and the Catalent Applied Drug Delivery Institute. He earned his PharmD and PhD from Rutgers University. 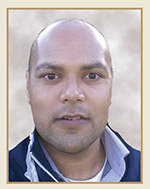 His current research interests are in the application of in silico models and simulations to aid in drug formulation design, integration of novel formulation technologies into the industry, and patient-centric research. He was awarded the American Society of Health-System Pharmacists Foundation Student Research Award for his research project during pharmacy school. Dr. Savla is author and co-author of over 35 publications including peer-reviewed papers, magazine articles, conference proceedings, and posters. Dr. Jeff Browne began his career with Catalent in 1994, and since then he has held a number of positions, before becoming R&D Director and US Platform Leader of Pharma Softgels. These included Executive Director & Division Head of Pharmaceutical Development in Research Triangle Park, NC, and most recently, Technical Director, Pharmaceutical Softgels. He is an active member of the American Association of Pharmaceutical Scientists (AAPS), and has served on several of their Focus Group committees. He is a frequent presenter at both regional and national AAPS meetings. 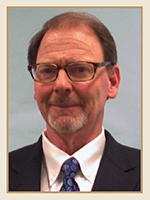 Dr. Browne earned his PhD from Purdue University in Industrial and Physical Pharmacy.